Plymouth Argyle have signed Crystal Palace winger Jason Banton on loan until 2 March. 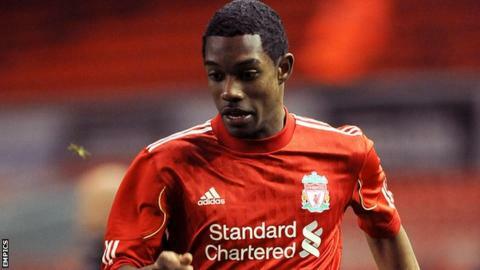 Banton had spells at Arsenal, Tottenham and Blackburn as a schoolboy before agreeing his first professional deal with Liverpool. But he was loaned out to Burton Albion and later spent time in US soccer. Meanwhile, the club have parted company with full-back Robbie Williams and striker Rhys Griffiths, with both players leaving by mutual consent. Williams, 29, played 46 times for Argyle after but has played just 16 games this season having been out of action in October and November due to a stomach injury. He was an unused substitute in both of Sheridan's squads since he took charge. Despite being a regular goalscorer in Welsh football, did not fare as well in England. He scored just three goals in 17 appearances for Argyle, the last of which came on 13 October.